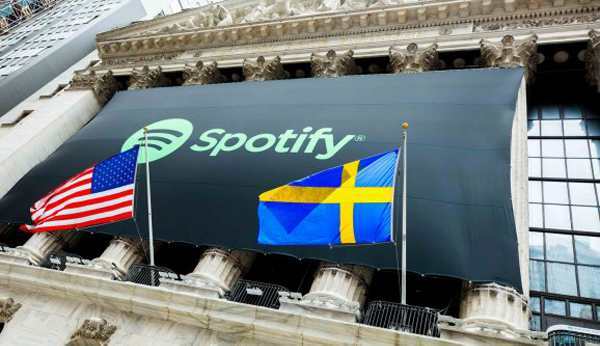 Yesterday was Spotify’s first day of public trading on the New York Stock Exchange. The first day of trading saw the company earn a real-life valuation of $26.7 Billion. The stock price of the world’s biggest music streaming company traded as high as $169 USD per share, but closed the day at $149.95. The reference price of the stock was set by the NYSE at $132. This means the stock closed 14% higher than the initial reference price. However, there may be signs of choppy waters ahead. Analysts are also worried about Spotify’s path to profitability. Gabelli & Co. analyst John Tinker initiated his coverage of Spotify with a “hold” rating. “Apple is growing faster than Spotify and has a different business model whereby music does not have to be profitable on a standalone basis,” Tinker wrote. He predicted $130 per share market value for the stock this year. After hours trading of the stock saw it fall a bit further to $149 per share. In related news, the NYSE made a mistake by placing the wrong country’s flag in front of the company logo as the trading day got underway.